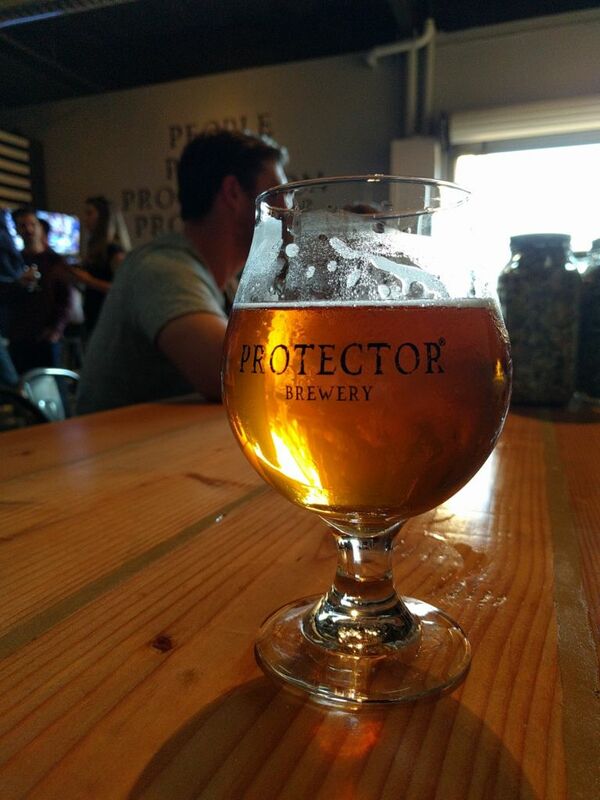 Protector opened in the crowded Miramar area. 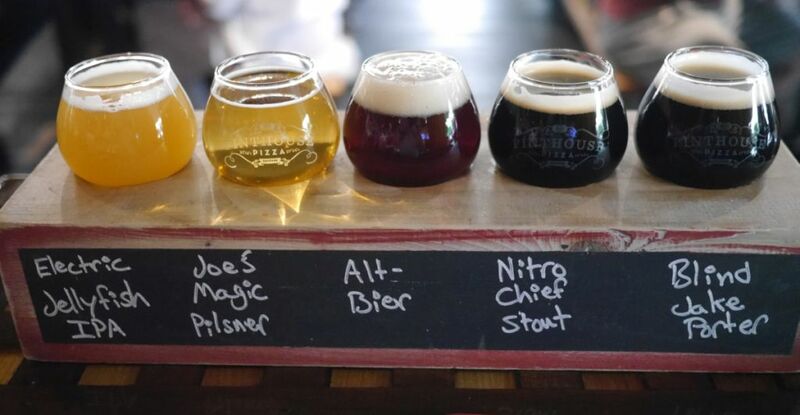 All their beers are made with 100% organic ingredients. 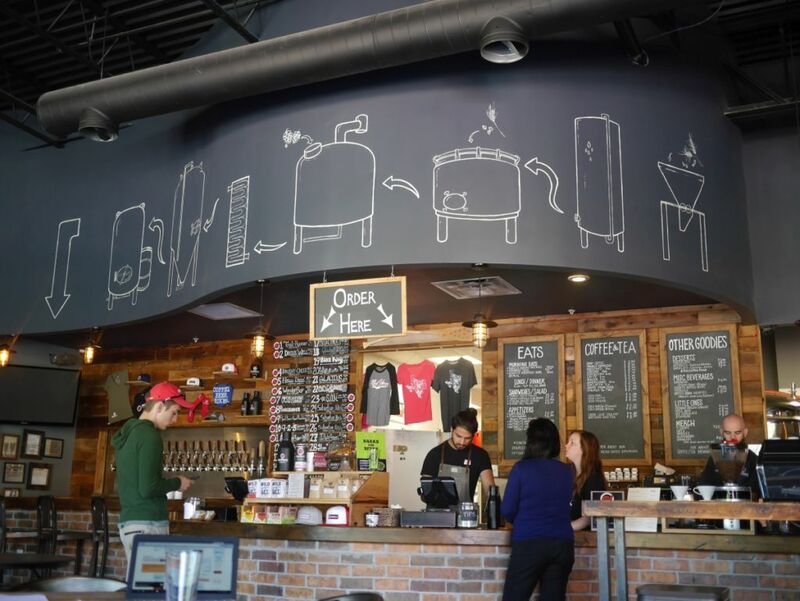 This makes the beers more expensive to produce and so the prices are slightly higher than other breweries in the area. People don’t seem to mind though and some batches of IPA have sold out in 5 days. Though Protector hasn’t had a grand opening yet, they have already proven that their brewers have an immense skill. My first visit they only had three beers, two IPAs and a pale ale. The hoppy pale was grassy with light citrus notes and a solid finish. I couldn’t tell if it was the grassy notes I didn’t like or the choice of malts but it wasn’t much my style. The traditional IPA was a fantastic balanced beer with mild citrus and mild bitterness. Both this and the West Coast style IPA had a solid malt character without being overly malt-forward. The malts balanced perfectly with the hop notes. The West Coast style IPA had a great blend of resin and citrus notes with a light bitter finish that wasn’t present in the traditional IPA. While slightly more malty than the typical West Coast style it was quite a good beer. Over the coming weeks, I returned a few times to try their new beers. First time back they added a porter and a session heffeweizen. The porter was good and roasty with notes of caramel and cherries and bitter dark chocolate on the finish. The hefeweizen had a good dry finish. Flavor of cloves dominated over banana and the beer finished fairly astringent. While very easy drinking, I found the beer a bit too heavy on the cloves. I returned a third time and tried their coffee imperial stout. Though expensive at $3.50 a taster, it was quite impressive. It had intense coffee on the nose. The beer had a silky mouthfeel with notes of caramel, roast, and coffee. Traditional ipa batch dialed up the citrus character even more though still with mild resin on the finish. Bitterness is still mild. 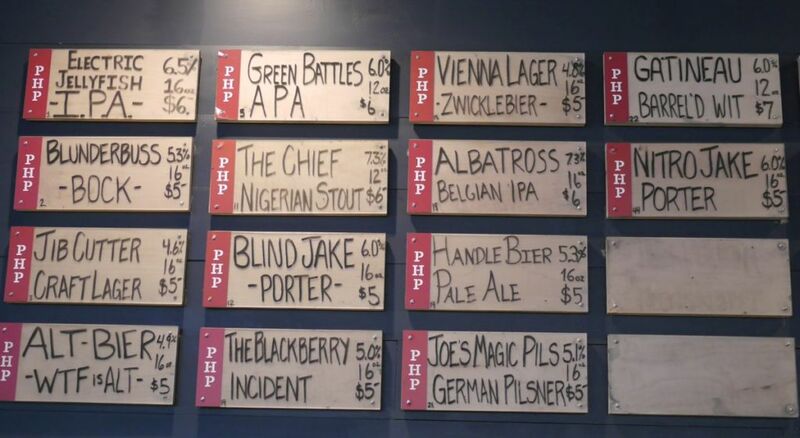 In a crowded area, Protector stands out with an excellent lineup of beers. Their IPAs showcase hops while supporting them with a mild malt backbone. This balance is difficult to achieve and a rarity among local breweries. Their tasting room is spacious from the get-go. Disclaimer – Though I did receive the occasional free taster while visiting protector, my views have not been altered in any way. Update – Post has been updated to reflect the brewery’s change of pricing for the Imperial Stout. It is now $3.50 a taster instead of $5. 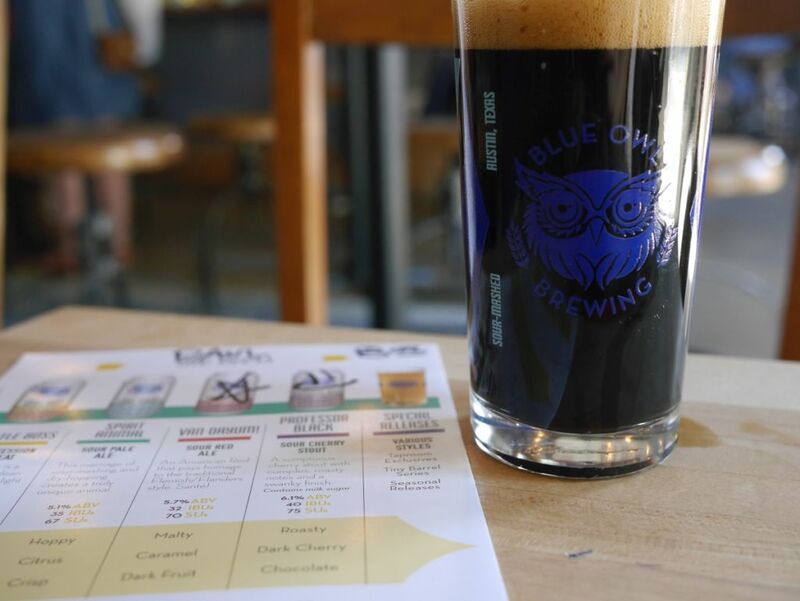 Blue Owl is a brewery that does all sour mash beers, which means for every style of beer they make a kettle sour even their pale ale, or their stout. 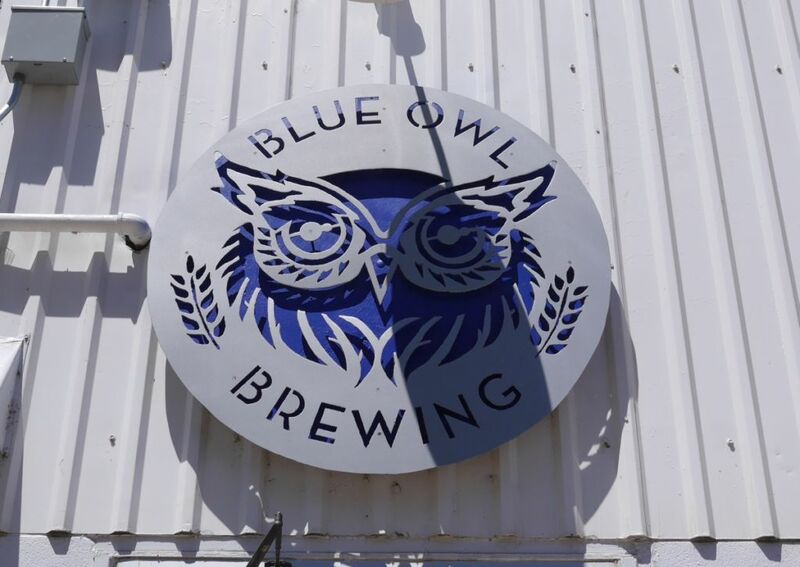 Both Blue Owl and Zilker are very close to each other so they are easy to visit in one trip. The last time I was in Austin I brought back a six pack of the Blue Owl sour pale. I enjoyed it but it wasn’t particularly delicious. I decided to return to see if some of their other beers in cans grab me enough to buy some and if not save the six packs for those who like it. 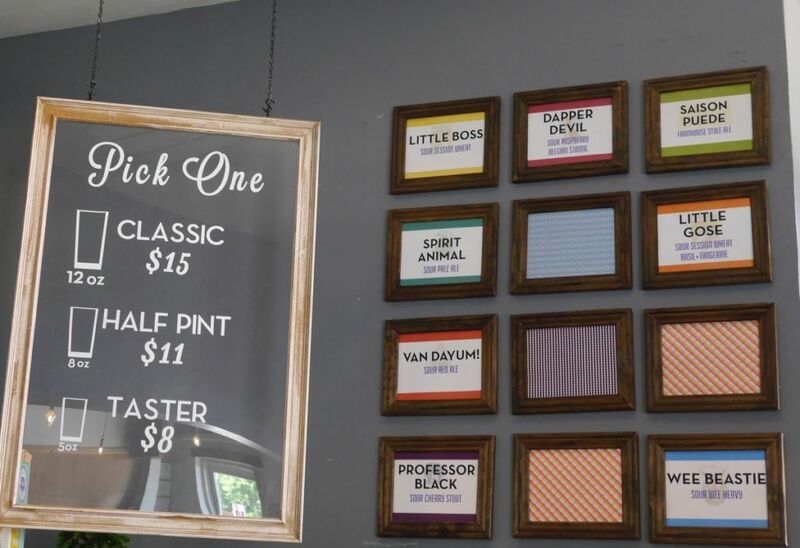 Blue Owl does not sell individual pours so you must buy a glass and they will fill the glass four times for the price. Thankfully they offer multiple sizes. I went for the half pint size, or 8 ounces. I started with the sour red, which was malty, mildly tart, and easy drinking. 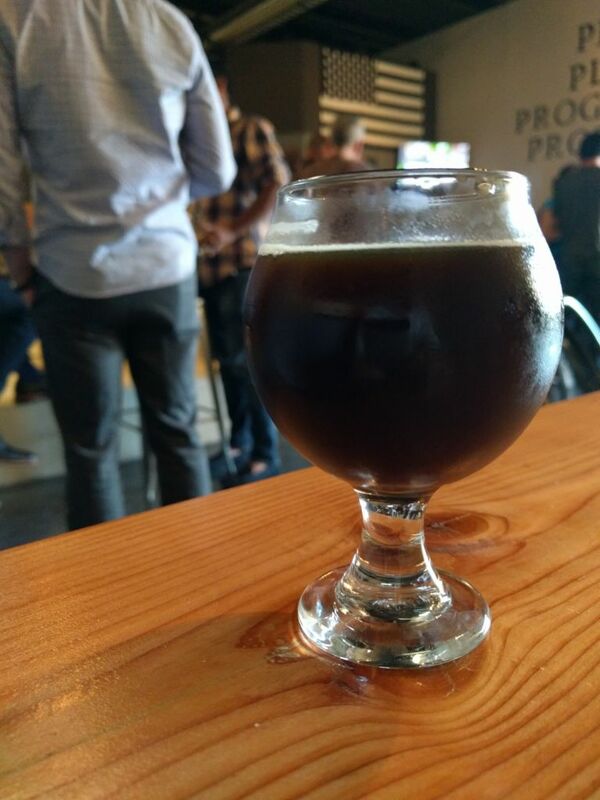 The sour stout was an interesting mix of caramel roast, light sweetness, mild cherry notes, and a mild tart kick. I enjoyed this the most of the beers I tried and considered grabbing some cans. The raspberry Belgian strong tasted like cough syrup, sticky and notes of cherry. The sour wee heavy I couldn’t finish even though it was a bit more balanced than others. It had notes of cherry and caramel and a strong acidity that was a bit overpowering. Blue Owl is worth a visit if you want to try some kettle sours but I would recommend going for the smaller taster option. I also think the sour mash works better with the lighter core beers. 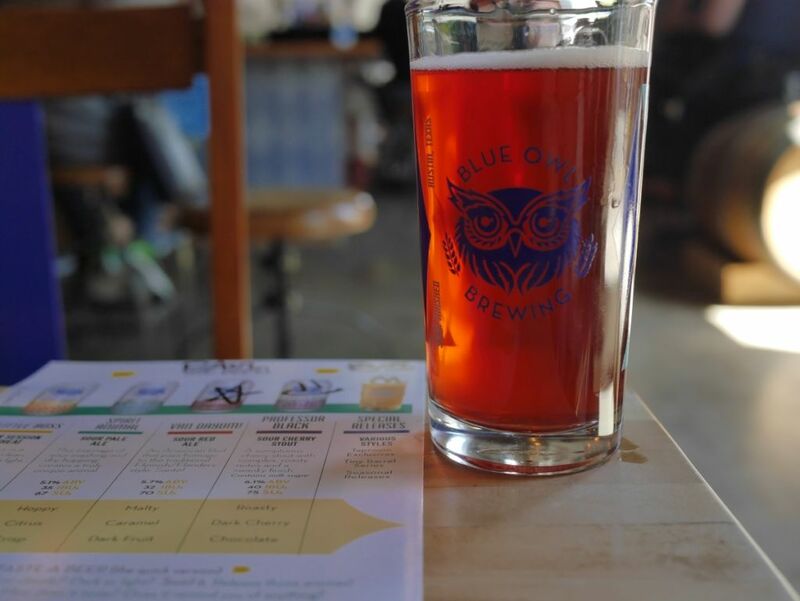 Blue Owl brews exclusively kettle sours, which means this is not a brewery to visit if you crave IPAs or stouts. 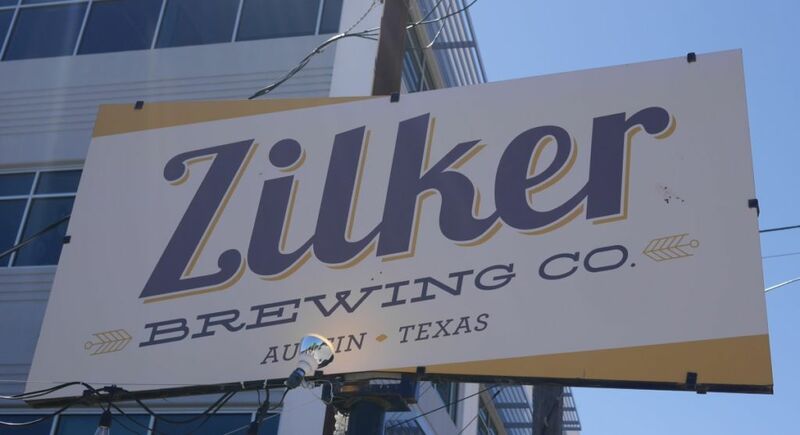 I visited Zilker the day after their second anniversary party. 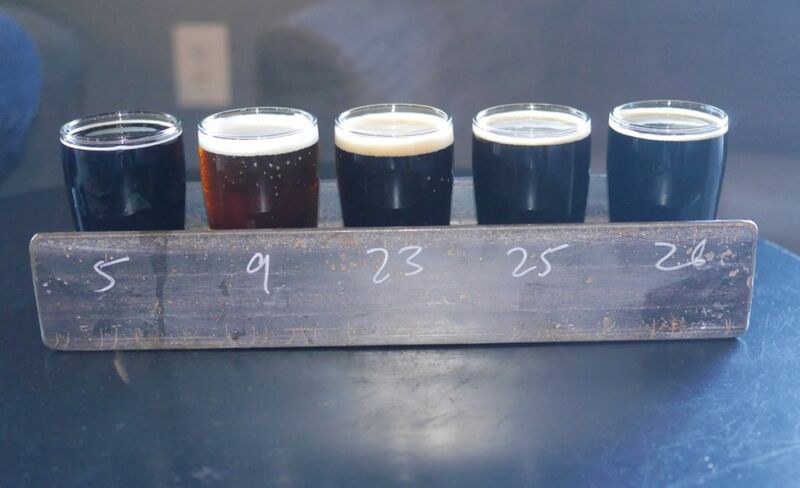 They serve flights without needing to buy the glass. I started with the blackberry kettle sour, which had a gorgeous dark purple color and a great mix of berry flavor and mild tart kick. I ended up ordering a full pour of this before I left. If you see a fruity kettle sour on tap, be sure to try it. The Marco IPA was a nicely done classic IPA with a malt balance and notes of pine and herbal hops. The anniversary IPA was a solid example of the classic West Coast style IPA, blending citrus and pine with a light malt backbone. The coffee stout was nicely done with a good mix of roast and coffee. Zilker was my last stop for the day so I didn’t try their numerous lighter options, though they had many on tap. Everything I tried was well-made. 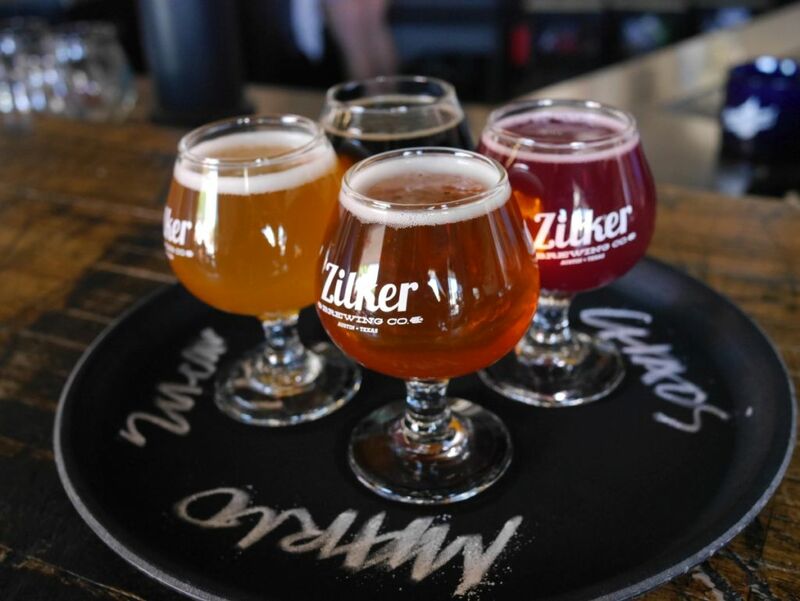 If you are more into classic styles of hoppy beers, Zilker is the place to visit, otherwise those looking for the juicy hazy IPAs should visit Pinthouse Pizza. 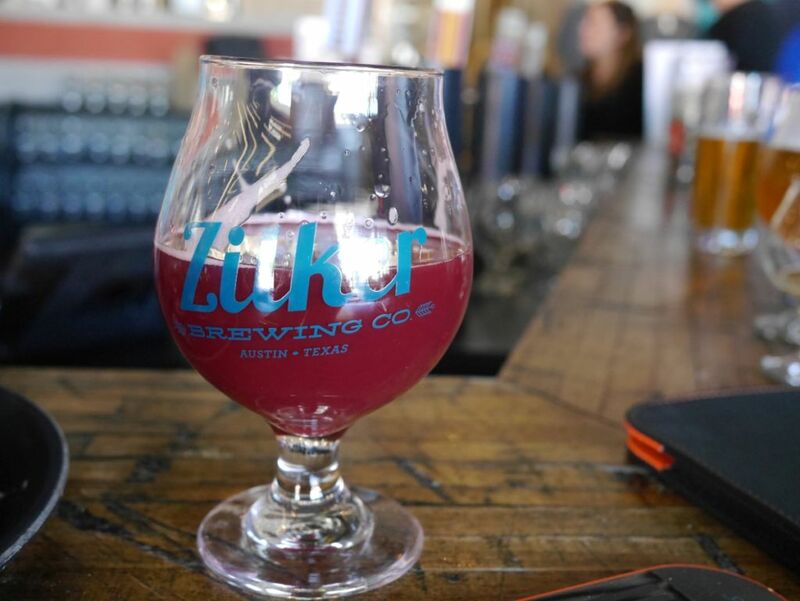 If you can schedule your visit to Zilker when they have a fruited kettle sour on tap, it is worth it. Red Horn is in an area about 30 minutes north of downtown Austin. Though they are open at 7:30AM most days for coffee, they can’t serve alcohol until Noon. I was recommended Red Horn for their stouts so I focused my tasting on their dark beers. Their coffee stout was velvet smooth with a nice mix of roast and coffee. This is a nicely done 5% coffee stout. The rye whiskey aged rye IPA was delicious with tons of oak and whiskey notes and a mild hop kick. I wasn’t sure the style of the base beer when I ordered it but the balance of flavors was perfect. The SUN with coconut was a delicious soft stout with notes of vanilla and coconut. Like all the other high alcohol stouts here, I was surprised how well this hides the 12% alcohol. None of the high alcohol stouts were thick and sludgy like they are elsewhere. The imperial stout with coffee was smooth and delicious, almost like drinking cold brew coffee. The Mexican Chocolate version was a perfect mix of cinnamon, vanilla, and some mild warmth at the finish from chili peppers. 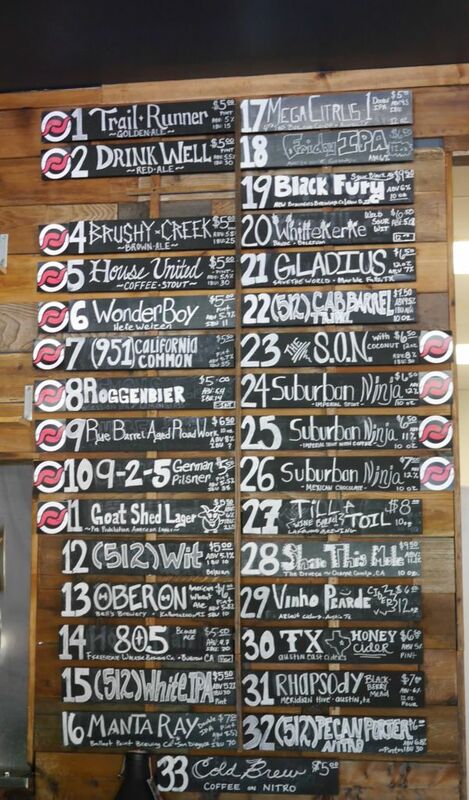 Red Horn is worth the drive to try their delicious lineup of stouts. When I visited, they had a note that they will have crowlers of beer to go soon. I would have loved to bring back either the coffee or Mexican chocolate stout. Come for delicious adjunct stouts. They use their own house-roasted coffee in some of the beers. Pinthouse Pizza has two locations in Austin and I visited the southern location. They have a spacious interior and a broad menu of house beers and guest beers. 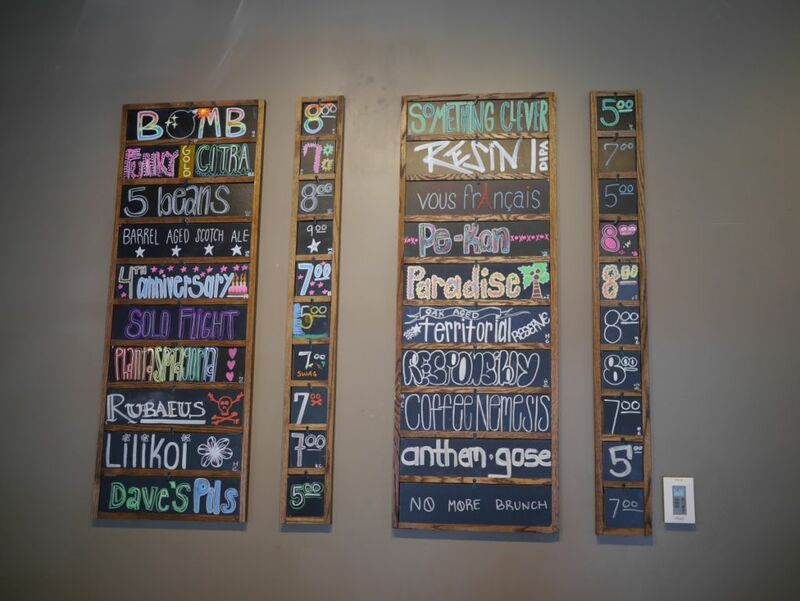 I stopped by for a flight of five of the most interesting beers on the menu and was quite impressed by their IPA. The pilsner was crisp and clean with a mild hop bite. This is an excellent example of the style. The alt beer was a great mix of caramel malt and mild smoke with a clean finish. This is a style that I’m not too familiar with but every version I’ve had in Texas so far has been great. The IPA was soft and juicy haze with citrus and tropical fruit notes. The hazy IPA was up there with a lot of what is coming out of San Diego lately. I was very close to bringing home a few crowlers of this beer. The stout was a bit unusual with prominent tart cherry flavors and some mild smoke in the back. It was almost a sour stout. Though I enjoy a good sour stout, this was simply labeled as a stout. The porter was good and roasty with a fairly dry finish, done nicely to style. Though dry it wasn’t nearly as dry as the classic dry Irish stout. Besides the beers I tried, Pinthouse had a number of lighter alcohol options, but I did not have the capacity to try everything. 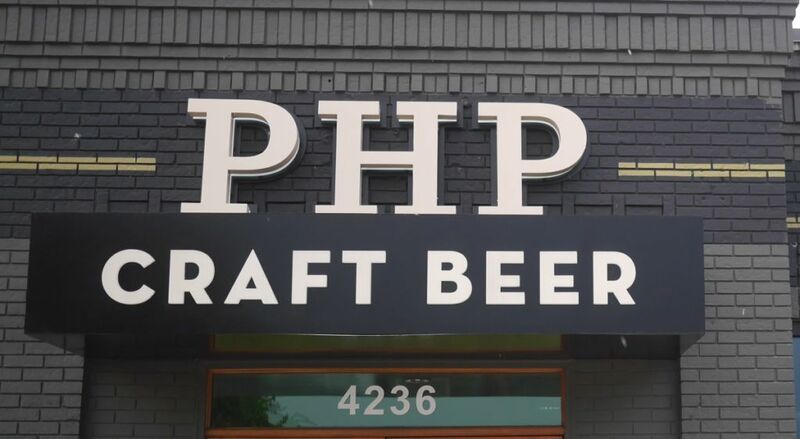 If you are looking for excellent hoppy beers in Austin, Pinthouse Pizza is the place to go. Prairie opened their brewpub in Tulsa fairly recently. Currently it is the only place in Oklahoma that has regular hours where you can get all the Prairie beers. They are working on a taproom soon in Oklahoma city as well. Due to regulations that require them to buy beers through a distributor the on-tap prices are high here as well. 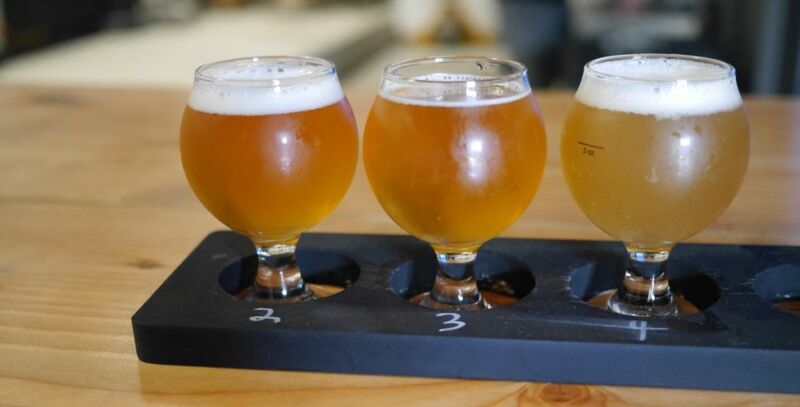 You will pay $17 for a flight of five tasters. Beers to go are more reasonably priced and they have crowlers of their lower alcohol pub beers available as well. 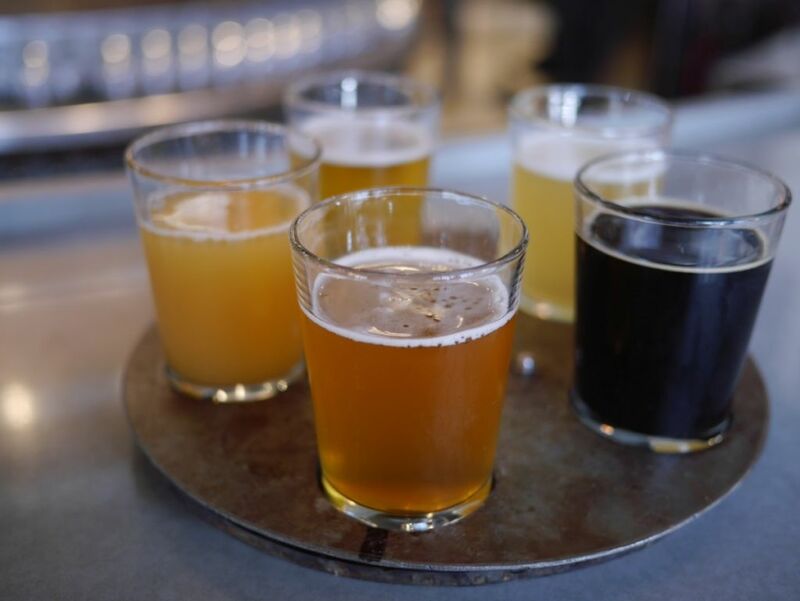 Beers brewed in house are limited to 4% but they serve other prairie beers brewed elsewhere. I visited at 3PM because I heard the place gets crazy crowded at dinner time. I was out before it got too busy. 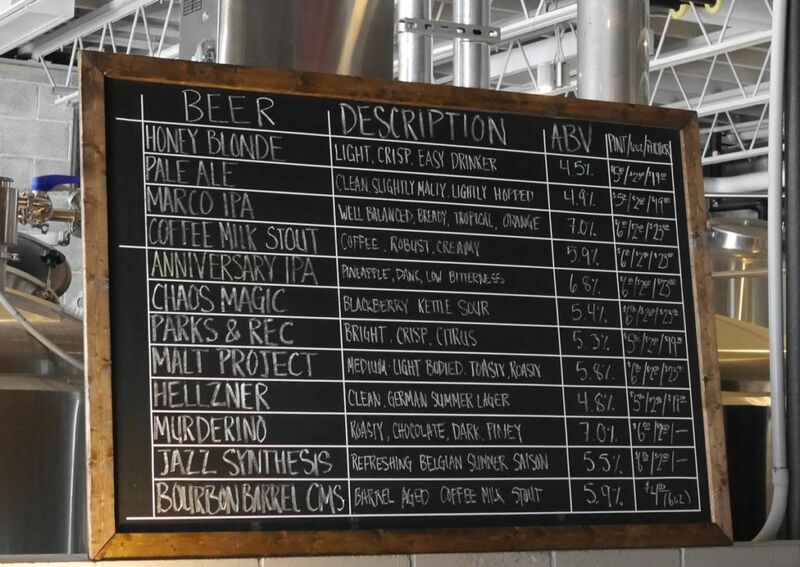 Because I make a note to indicate independent breweries, it is important to point out that Prairie was sold to Krebs Brewing in the middle of 2016, which funded the opening of the brewpub and allowed the head brewer to go off and start American Solera. This is not in the same league as a sale to larger breweries like Heineken or ABInBev but worth pointing out. I’m not familiar enough with Krebs to say but it sounds similar to Alpine Brewery’s sale to Green Flash out in San Diego. I started my flight with their house pilsner, a flavorful bready pilsner and very easy drinking with a mild hop bite. The saison on tap was light and effervescent with notes of lemon and white wine. Their 4th anniversary sour was well-made but I didn’t realize it was made with lemongrass and ginger until I ordered it. I probably would have gotten something else since I don’t care for ginger in my beer. Still, it was a balanced beer that blended the two flavors well. The Phantasmagoria juicy double IPA started off with tons of mango and melon but I got a salty caramel finish that I didn’t care for so much. It has great reviews from friends so it may have been an older keg or the end of a keg. The Pekan stout was thick and delicious with tons of caramel and maple notes though not too sweet. Paradise was delicious with notes of vanilla and coconut and a chocolate finish. Both of these had little detectable alcohol taste. 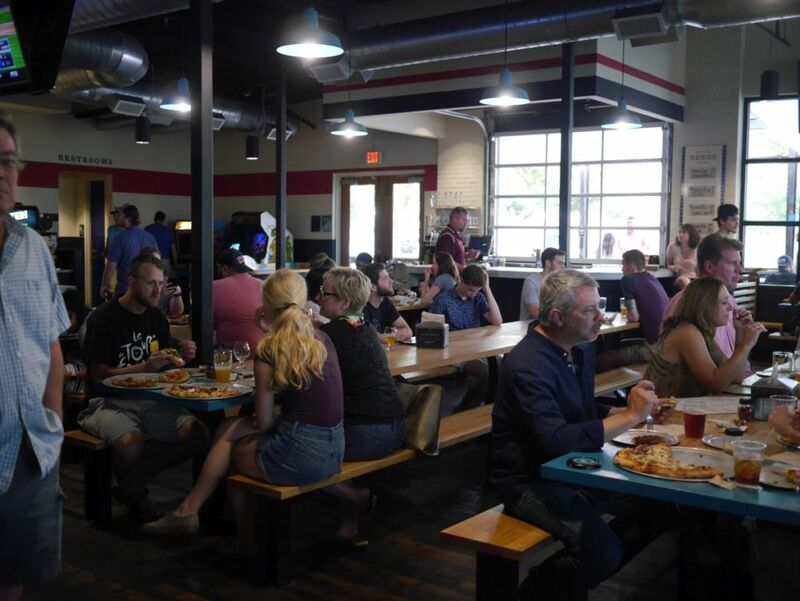 If you are going to visit Prairie for beer don’t go during the dinner rush as they tend to get very crowded. It was a nice chill quiet visit at 3PM though even on a Friday. Depending on when you visit they sometimes have barrel aged variants of the stouts as well. For locals the brewpub is also a great way to try other interesting beers because they had a solid guest tap list as well.